The cold and icy weather did nothing to deter the keen bidders at our first Model Railway auction of the year, and with 352 lots on offer it’s no wonder. 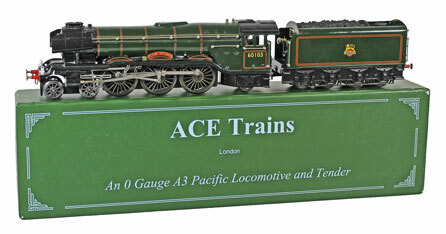 In the O gauge section this ACE Trains LNER A3 Class 4-6-2 BR 60103 ‘Flying Scotsman’ No. E/6 realised £492. 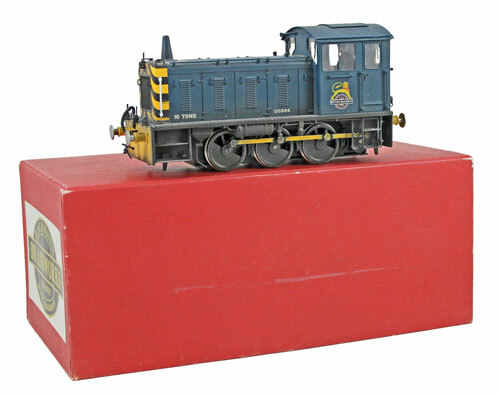 This Bachmann Brassworks (Sancheng) DCC sound fitted BR blue (weathered) 150864 Class 04 diesel shunter sold for £384. This Bing 3-rail electric LMS maroon 650 4-2-2 locomotive and tender achieved £576. More modern O gauge locomotive also proved popular with this Heljan (Tower Models) BR Class 20 Bo-Bo diesel locomotive realising £324. And this Heljan BR D1003 ‘Western Pioneer’ class 52 diesel locomotive sold for £384. This unusual Lionheart (China) DCC fitted brass BR black 6435 64XX Class locomotive and autocoach achieved £420. And this Tower Brass (Sancheng) DCC sound fitted BR weathered maroon and cream W21W GWR Passenger Railcar realised £468. 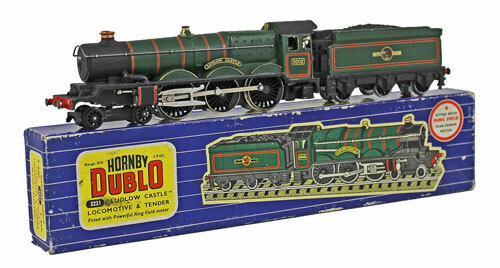 In the OO gauge section this Hornby Dublo 3-rail BR 5002 ‘Ludlow Castle’ No. 3221 locomotive and tender sold for £348. In the Wrenn section highlights included this LMS 6221 ‘Queen Elizabeth’ No. 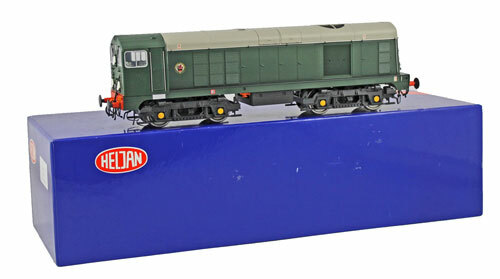 W2301 locomotive and tender which achieved £480. This SR 21C155 ‘Fighter Pilot’ No. W2265AX locomotive and tender realised £300. And this BR 34051 ‘Winston Churchill’ No. W2265 locomotive and tender achieved £276. Our next Model Railway auction will be held on Wednesday 20th March 2018. The full catalogue for this sale will be on our website in the next few weeks or keep an eye on our Twitter and Facebook pages which will include updates of our latest auction news.